For fortunate golfers who stay and play at The Breakers hotel, a historical bastion of oceanside resort luxury in Palm Beach, the reward is two superbly maintained and challenging courses. The Ocean Course at The Breakers features superb mounding, lakes and mature palms. The Breakers golf offerings feature the Ocean Course, a picturesque layout with superb mounding, lakes, mature palms and TifEagle Bermuda grass from tee to green, and Breakers West, an artful redesign by Rees Jones with generous landing areas off the tees, high profile features and lush landscaping. Once you've roamed the fairways at The Breakers, you don't have to travel far from your posh surroundings in Palm Beach to play some other excellent, upscale courses, where high-maintenance standards and top-notch service are the norm. Nearby cities like West Palm Beach, Lake Worth, Boca Raton, Jupiter and Wellington feature an extensive menu of well-designed places to tee it up. 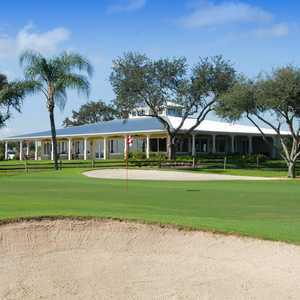 In West Palm Beach just north of Okeechobee Boulevard, Madison Green Golf Club has been an upscale mainstay in the area since its opening in 2002, when Golf Digest selected it as one of the "Top 20 Best New Courses in America." Designed by Jupiter, Fla.-based architect John Sanford, the links-style course has no parallel fairways, innovative bunkering and fairways framed by pines, palm trees and mature oaks. Madison Green is a great test for low-handicappers, and Sanford provides five sets of tees so the course is enjoyable to all skill levels. 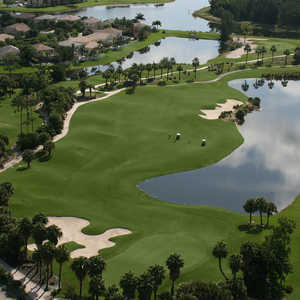 For Jack Nicklaus design fans, the North Palm Beach Country Club features a "Nicklaus Signature Course" open to the public. A well conditioned layout sitting atop the Seminole Ridge, the links-style course has elevation changes, fairways with movement and mounding, and strategically bunkered greens. Voted the top public course to play in Palm Beach County by the Palm Beach Post, this par-71, 7,000-yard layout is Nicklaus at his design best for the average golfer with superb green complexes, generous and fair landing areas and challenging shot values. Possessing lots of eye candy with coquina-lined fairways, sweeping bunkers and pampas grass, the Eagle Course at The President Golf and Country Club in West Palm Beach is a great choice for all skill levels. A Robert Trent Jones Jr. design, the manicured layout has six sets of tees. Jones provides something for everyone with a couple of exciting high-risk, high-reward par 5s and the short par-4 12th, which measures only 287 yards from the middle tees but is fun to play. The putting surfaces are smooth and true. An excellent private-club experience, Ironhorse Country Club offers visitors first-class service and a superbly conditioned and designed course. This Arthur Hills design has fairways that flow in four different directions, and golfers must strategize for constant wind changes. Hills utilized the natural wetlands, lakes and tree-rich setting to create a course that's both scenic and playable. Arguably, the most impressive lake is the one that stretches more than a mile and borders the 12th, 13th and 14th holes. Featuring a great mix of holes, the layout's highlights include the short 310-yard, par-4 15th and the in-your-face 505-yard, par-5 18th. In Boynton Beach, about a 20-minute drive south of Palm Beach, Westchester Country Club has 27 holes of Karl Litten-designed championship golf, the Blue, Gold and Red Courses. Wide open with a limited number of trees, the three different nines have multiple water hazards and strategically placed bunkers to provide challenge. 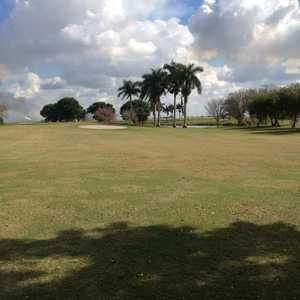 Known for his ability to blend great golf course designs with successful land planning, Litten has created a playable and fun layout at this popular south Florida development.